A physics teacher in high school, once told the students that while one grasshopper on the railroad tracks wouldn’t slow a train very much, a billion of them would. With that thought in mind, read the following, obviously written by a good American . . . This probably sounds crazy, but just yesterday I was in Wal Mart looking for a wastebasket. I found some made in China for $6.99. I didn’t want to pay that much so I asked the lady if they had any others. She took me to another department and they had some at $2.50 made in USA . They are just as good. Same as a kitchen rug I needed. I had to look, but I found some made in the USA and they were $3.00 cheaper. We are being brain washed that everything that comes from China and Mexico is cheaper. Not so. That is also why I don’t buy cards at Hallmark anymore. They are made in China and are expensive. I buy them at Dollar Tree….50 cents each and made in USA . Check this out. I can verify this because I was in Lowe’s the other day for some reason and just for the heck of it I was looking at the hose attachments… They were all made in China . The next day I was in Ace Hardware and just for the heck of it I checked the hose attachments there. They were made in USA . Start looking ….. In our current economic situation, every little thing we buy or do affects someone else – even their job. So, after reading this email, I think this lady is on the right track.. Let’s get behind her! My grandson likes Hershey’s candy. I noticed, though, that it is marked made in Mexico now. I do not buy it any more. My favorite toothpaste Colgate is made in Mexico … Now I have switched to Crest. You have to read the labels on everything…. Good idea . . .. One light bulb at a time . . ..
Was made in MEXICO and the Everyday Value brand was made in – get ready for this – the USA in a company in Cleveland , Ohio. So on to another aisle – Bounce Dryer Sheets… Yep, you guessed it, Bounce cost more money and is made in Canada … The Everyday Value brand was less money and MADE IN THE USA! I did laundry yesterday and the dryer sheets performed just like the Bounce Free I have been using for years and at almost half the price! My challenge to you is to start reading the labels when you shop for everyday things and see what you can find that is made in the USA – the job you save may be your own or your neighbors! Location will be next to HEB on Pin Oak. 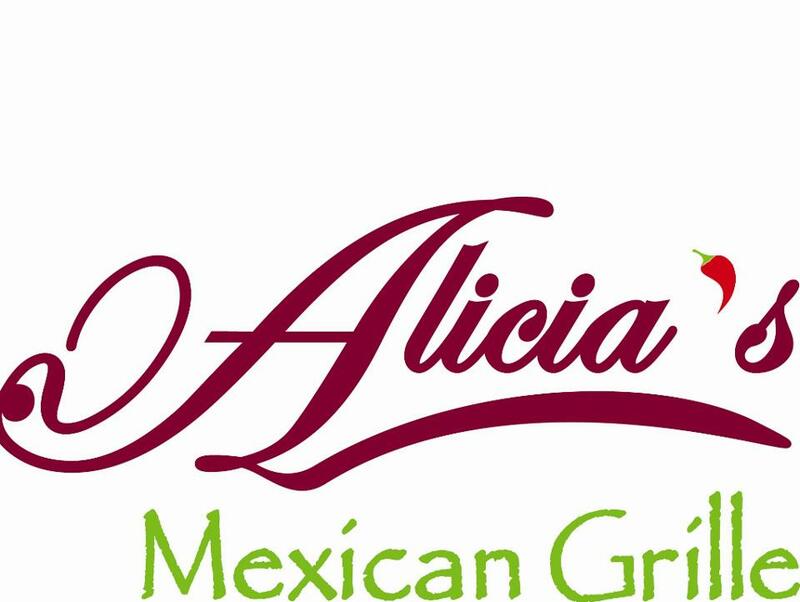 Alicia’s Mexican Grille has been noted as the finest Tex-Mex restaurant in Houston, TX. Luxury at its finest in Katy, TX! With a price tag of $1,499,000 this home is the most expensive home in Katy. Featuring 6 spacious bedrooms and 6.5 bathrooms. Both formals, media room and gameroom. Gourmet island kitchen boast of granite counters, travertine backsplash and stainless appliances…perfect for the chef of the house! Stunning wide plank wood floors extend throughout this elegant home. Check out the sparkling pool and outdoor living area with kitchen and fireplace. For more information on this property please call 281-948-1718. Why isn’t your Katy, TX home selling? If you are a Katy, TX seller who knows me, you know I have drilled you over and over on how important it is for your property to show like a model. You may think I’m exaggerating and may even think that buyers don’t really care if your house is organized or if it is staged, but you are wrong. When there is a lot of competition, it is crucial that your property stands out, that your house shows better, that you have more to offer. If a real estate buyer is looking at 2 very similar Katy, TX homes in the same location with similar price ranges, they will always pick the property that is clean, pretty and organized. There is a psychological factor that tells that buyer that the person that is selling the pretty and organized home “takes care” of their home, it also feels more welcoming and ultimately the property they want to buy. Don’t leave it up to chance! There are properties that are just sitting unsold for months, even years! Is it worth a little trouble of your time to make your house show the best way possible? I really hope so. When we list a property, we send our stagers to meet with our seller customers and go into detail about what needs to happen to the property for it to be in “showing condition”. Of course we understand that sometimes circumstances don’t allow for extreme measures, but there are key factors that need to happen for a property to sell, ignoring those factors will only keep your house on the market longer and will determine how motivated you are to sell. Any Katy, TX Realtor will tell you that decluttering is the single most important factor when selling a home today. If you refuse to do anything else, you must at least declutter your property. How do you declutter a home? *If you have too much furniture, store it or get rid of it! *Remember you are not selling your belongings, you are selling the home. By not taking the time to make your home look presentable, you are sending a message that you are either not motivated to sell, or even worse, that your house is worth less than what the market calls for. Please don’t be stubborn! We, as your Realtors will do our job, will market aggressively and will do everything in our power for your property to sell, but we are not magicians and will need your total cooperation to get the job done. You can look at it as a team effort, all parties need to do their part to get results. The 2009 Cinco Ranch High School Grad is coming home from Iraq on Thursday! Welcome home Alex Mayo!